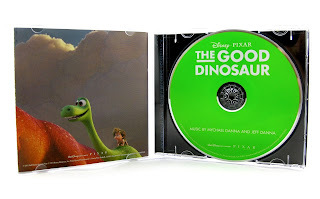 Thankfully, I'm happy to report that Pixar continues to follow their tradition of inspired scores with The Good Dinosaur! They are 16 for 16 in my book. Of course, since music (like any art form) is completely subjective, I can't promise that you'll love this soundtrack as much as me. I've heard people who love it, hate it, are somewhere in the middle or just don't care. 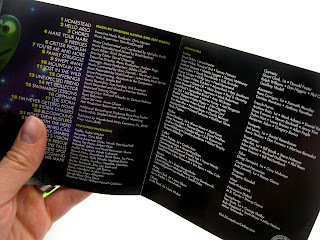 I myself, am a movie score buff. Since I was a young kid, I have always listened to and appreciated many genres and styles of instrumental music; so I might have a different ear than most. For me, The Good Dinosaur score by [the brother team of] Michael Danna and Jeff Danna is nothing short of brilliant. Like the film, it's extremely unique! 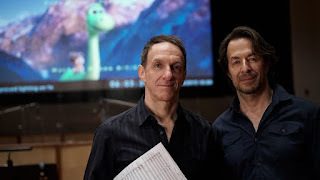 Since this is the first time Pixar has ever used this duo (and since I've never really followed their past projects), I didn't really know what to expect. I was pleasantly surprised. As reported, the film draws heavily from the western genre, so naturally, so does the music! It fits the images on screen like a glove. 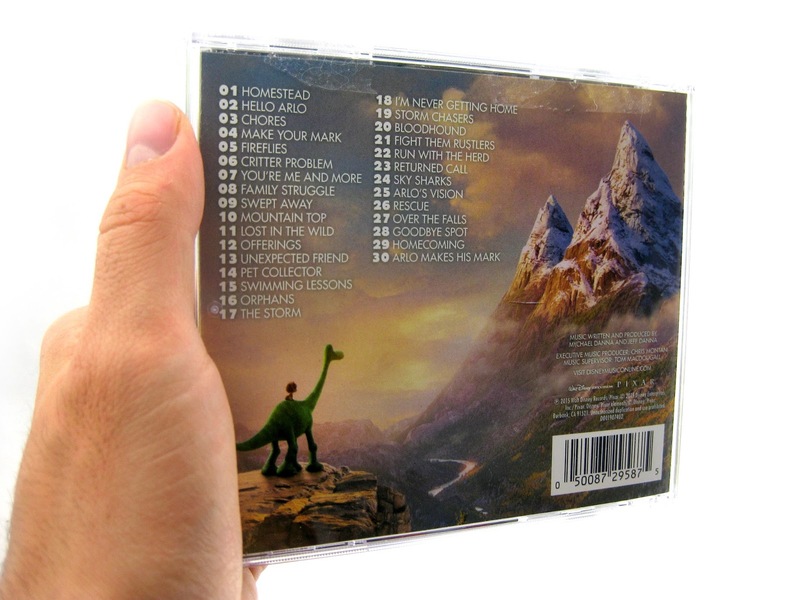 I never would have pictured this type of music coming from a dinosaur movie, but it's beautiful and it works so well. The Danna brothers' choices of unique instruments is what really gives this score its original flavor. There are so many cool sounds from so many different cultures that it ends up being completely its own thing (which is why it's so hard to describe). In addition to the classic instruments found in orchestras (violins, violas, cellos, basses, flutes, oboes, clarinets, french horns, tubas, trumpets and so on), you'll also hear: fiddles, Native American flutes, three different types of piano (toy piano, grand piano & "grandma's porch piano"), hand and mallet percussion, kazoo, mandolin, harmonica, banjo, slide whistle, cittern, cuatro, cumbus, harpolek, saz, lap steel, bouzouki and more. Yah, I have no idea what half those instruments are either. I absolutely love the beautiful, reoccurring themes (and variations on themes) scattered throughout this score. They've been stuck in my head ever since I listened to this for the first time (especially the ones found in my favorite track "Run With the Herd"; you can usually find me whistling that tune these days). For the average listener however, I can understand why they may think this is a more unmemorable/generic collection of tracks. Admittedly, there isn't anything as instantly (and universally) catchy as, say, "Youve Got a Friend in Me" or anything like that; but I think after multiple listens, it will grow on people. I wish I could go on in detail about each track, but to keep things on the [relatively] shorter side, here is just a quick list of my favorites: Homestead, Hello Arlo, Chores, Make Your Mark, Fireflies, Swimming Lessons, Orphans, The Storm, Stormchasers, Run With the Herd, Sky Skarks, Arlo's Vision, Goodbye Spot, Homecoming, and Arlo Makes His Mark. Though I do enjoy this entire score, those are the tracks that I repeat over and over. The others are good, but they don't stand out to me as much compared to the half that I listed. I tend to gravitate towards the more emotional cues. I've had this on repeat for an entire week now. I've lost track of how many times I've listened to it. Whether I'm driving or browsing on the computer, I feel like it's always on! Like right now. Overall, I'm really enjoying this soundtrack. This and Michael Giacchino's Inside Out are in my top three film scores of the year (along with Alan Silversti's The Walk). Though I can't say this is one of my all time favorites (right now), it still lives up to the high standard I hold for the music of Pixar. 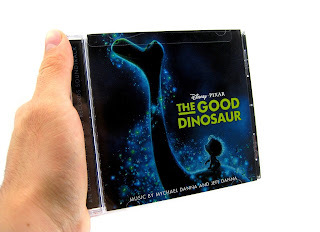 The Good Dinosaur: "My Busy Books"